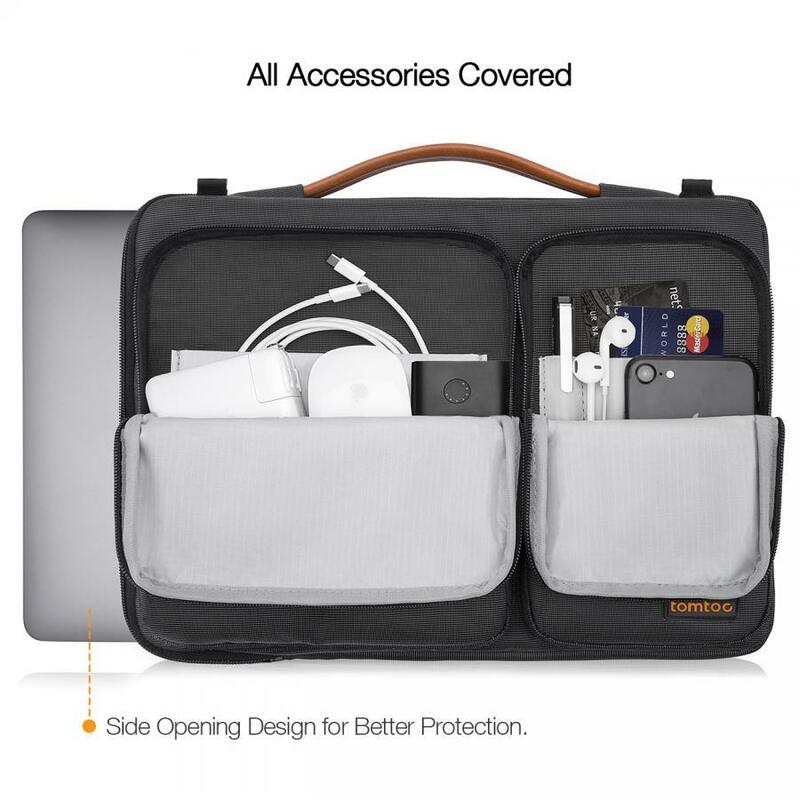 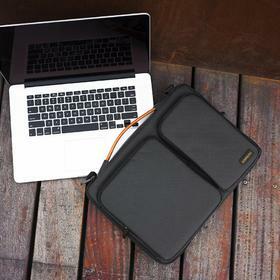 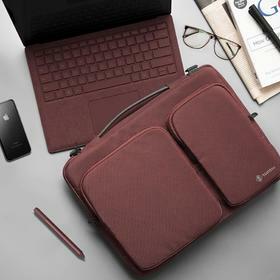 Organize Your Digital Life - Two sealed pockets can easily store and transport accessories such as your charger, adapter, mouse, cables as well as everyday items like your phone, wallet, cards and pens. 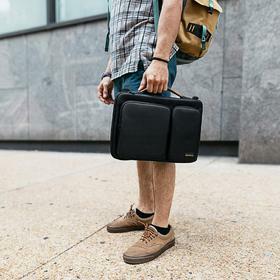 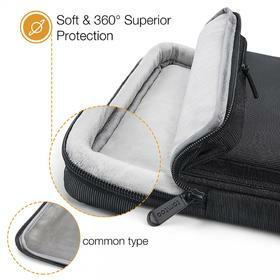 These pockets are sectioned off into compartments to keep your belongings organized. You will always be able to find what you need, when you need it. 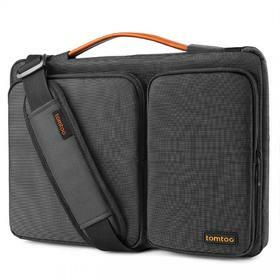 The unconventional and unsymmetrical design of the pockets make the bag even more trendy and desirable. 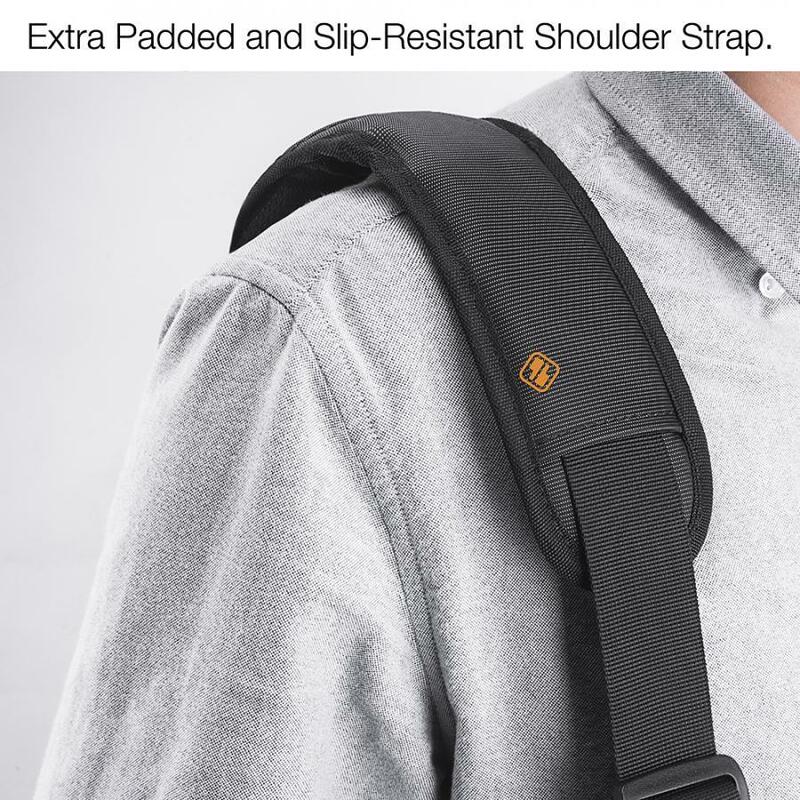 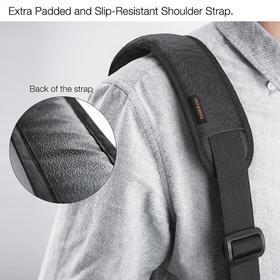 Adjustable Padded Shoulder Strap - Soft material thick pad and fully-adjustable shoulder strap provide maximum comfort and perfect fit for everybody; The detachable padded shoulder strap allow you to use it as a handbag or a sleeve in your Backpack. 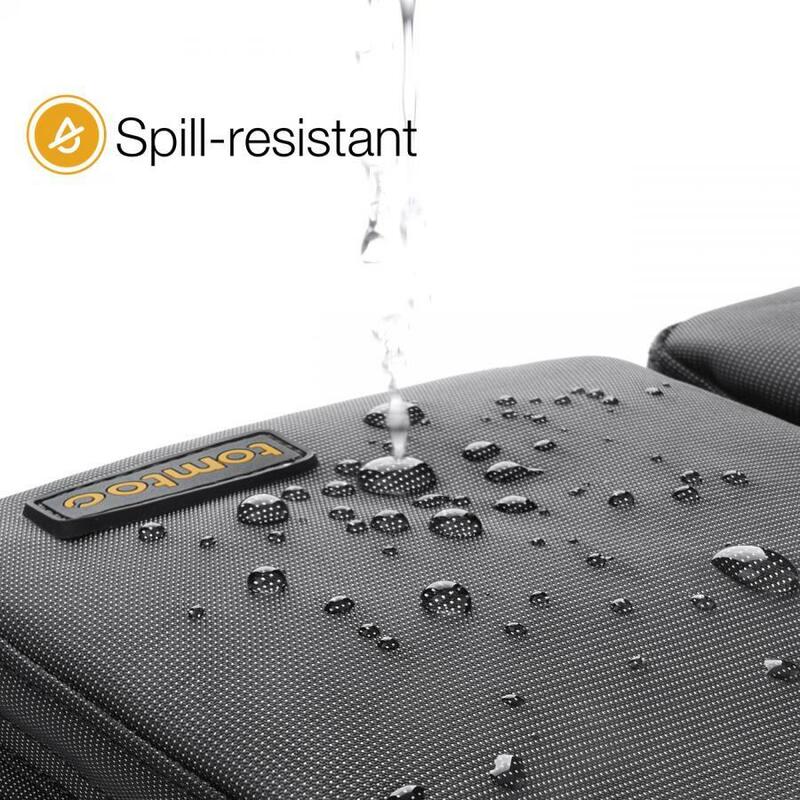 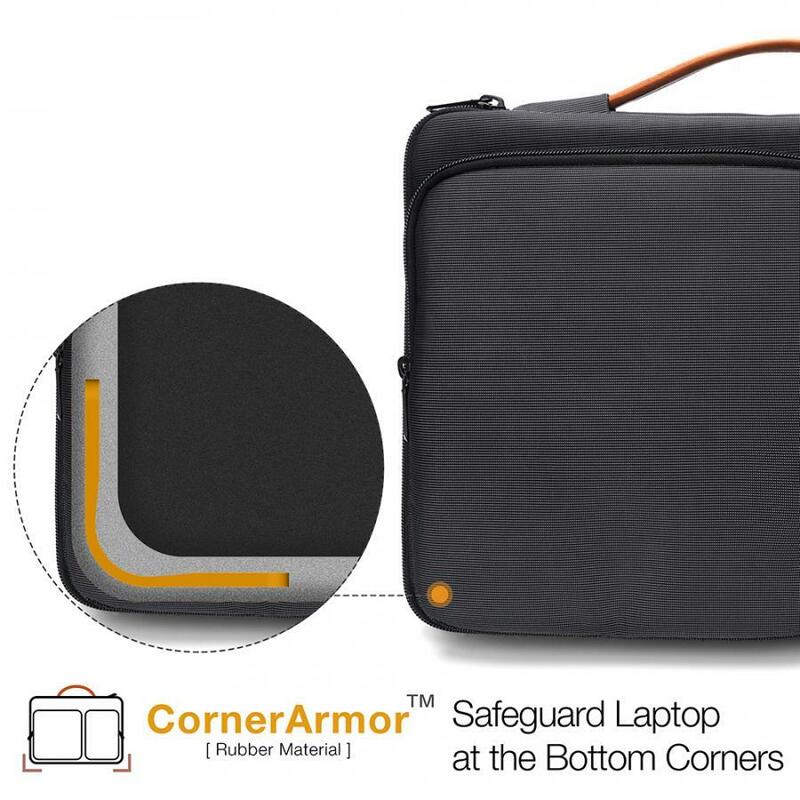 Reinforced Edges and Corners - Reinforced edges and corners offer 360° protection and safeguard against any potential damage caused by accidental dropping.